Miami Beach is the hottest destination famed for its picture-perfect beach views, historical Art Deco district, numerous restaurants with cuisine from all around the world, beautiful people, and famous nightlife. When it comes to American cities, Miami is that multi-cultural place where no trip here is ever the same. It’s one of the few places where a beach vacation includes trips to world-class museums, art districts, shops, restaurants, and recreational activities. 2019 is the year of Miami, the year to discover what’s new – and what’s old – in the Magic City, and Catalina Hotel invites you to do so. Ocean Drive is still an Art Deco landmark with its signature neon-lit streets, but Miami has expanded with celebrity chef-helmed restaurants, world-class museums, and family-friendly attractions that weren’t there before. A walk on Lincoln Road is always nostalgic even if it features the ultra-modern 1111 Lincoln Road architectural marvel and all its fabulous tenants and restaurants. With South Beach as a base, the exploration is endless. An easy ride over the causeway reveals the Miami of 2019, boasting an expansive skyline and a bustling downtown scene. Museum Park, in Downtown Miami, features a 30-acre public park and two major museums–the Perez Art Museum and the Frost Museum of Science, which finally put Miami on the museum map it was missing from for so many years. The recently re-designed Design District, where celebs shop for jewelry in Cartier while interior designers look at fabrics in nearby stores and studios for their clients’ beach homes, used to be a ghost town at night. Not so much anymore. Nearby in world-renowned Wynwood are gritty warehouses and walls plastered with graffiti. It is possibly Miami’s hippest neighborhood with bars, restaurants, shops and a scene straight out of SoHo, NYC circa 1980. 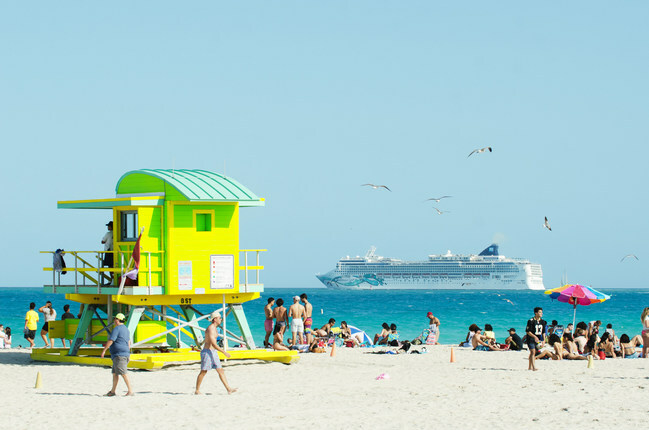 It’s impossible to experience all of Miami 2019 or even remnants of Miami 1920 in one jaunt, especially if it includes lazy days on the beach, paddle boarding, beach yoga, stops in Miami Beach’s own Wynwood, North Beach, or even Aventura, whose mall is the stuff of shopping legends. Consider a stay at one of Miami Beach’s retro-fab hotels which masterfully mix modern with retro so one doesn’t forget from where Miami and Miami Beach has come. While modernized to 2019 standards, hotels like the Waterside, the Catalina Hotel, Riviera South Beach, and Oceanside, welcome guests with the warmth of old school Miami and the sophistication of 2019 Miami and beyond. Sparkling pools, spacious suites, happening happy hours are among the highlights and comforts that will complement any Miami vacation. That’s the magic of Miami no matter what year it may be.